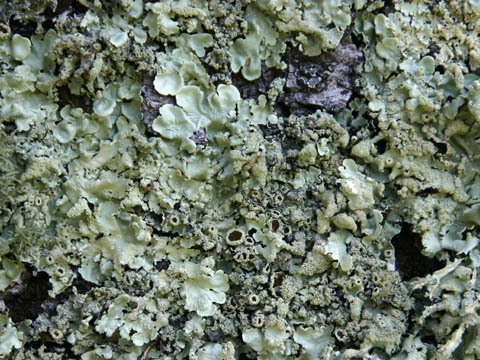 Sites were placed in forested locations where a sample of one lichen species (Flavoparmelia caperata) could be obtained for elemental analysis. In CATO and PRWI sites were located within 1 km2 grids. A 20m X 20m quadrat was established at each site and its GPS location recorded. § The sampling protocol was similar to that of McCune et al. (1997) used in the Forest Health Monitoring Program (complete details of the methods are given in Tallent-Halsell,1994); the only difference is that a plot of 20m X 20m was used instead of a circular plot of 36.6 m radius. § Within each quadrat presence of all corticolous (bark-inhabiting) macrolichen species was recorded; species on dead and down trees were included. § Terricolous (ground-dwellling) species and corticolous species below 0.5 m on trees were included as off-frame information. § Sensitivity to pollution was assess for species based on a literature survey. A sample of a single lichen (F. caperata) was obtained in each plot for elemental analysis. This species has been used in several previous biomonitoring studies done in the NCR. Lichen samples were analyzed for metals (Cd,Cu,Pb,Ni,Cr,Zn, EPA method 3051), total sulfur (3051 digest), and Hg (EPA method 7471). Seven park units (CATO, CHOH, GWMP, NACE, NAMA, PRWI, ROCR) were sampled in 2004; HAFE and MANA were sampled in 2006. All park units were resampled in 2009. 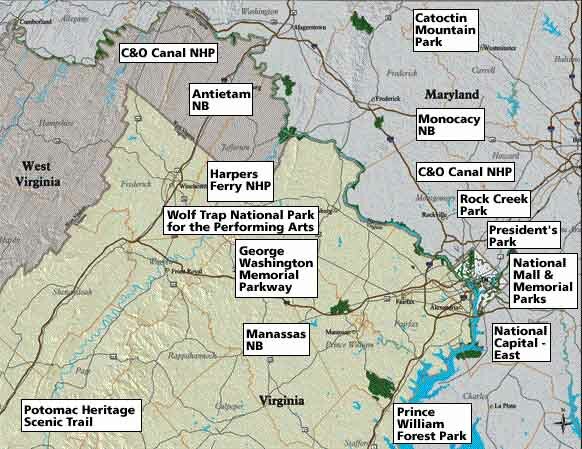 Location of NCR park units.